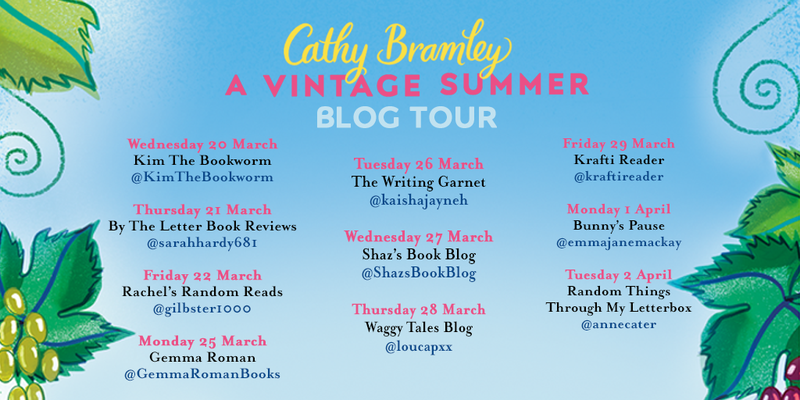 I blooming love a Cathy Bramley book and so when invited to get an early read of A Vintage Summer and being on the blog tour, I was literally over the moon. The cover alone, made me want to read it the minute I saw it. Cathy is one of those authors that when when one of her books comes out, everything in life gets dropped and I delve straight in! Cathy has an incredible writing talent and in every single book she’s written she creates main characters that you either want to be, or want to be part of their lives. Her plots are always ones that you want to jump straight into and live in. Her relationships are realistic and relatable and I think that’s why people love her books so much. I really routed for Lottie throughout the book, wanting her to get her happy ending. And Jensen – well! Cathy ALWAYS, without fail creates her leading men to be ones that I totally and utterly fall in love with and Jensen was no exception. I could particularly relate to the parts where Lottie and her family struggled without their mother and loved that the two daughters just wanted their dad to be happy, and released him off into a world of adventures. Cathy is a naturally witty person in real life and this shines through in her writing too. I always find myself totally immersed in her books, tittering along the way. From the moment you open them, they are pure escapism and totally delightful to read. The settings she creates, are always interesting and unique and she clearly does lots of research into her locations and themes because the detail is awesome, with just the right amount of description that makes you understand the background, but doesn’t overwhelm you too much with the detail. I learned so much about wine and wine making and really quite fancy a trip to a vineyard now. When Cathy mentioned a rescue English Setter called Roni, it brought a tear to my eye, a fabulous tribute to my furry friend. 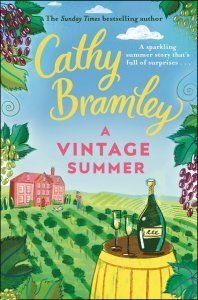 A Vintage Summer is an absolutely gorgeous, heart warming, feel good book. I loved every single page. A highly recommended uplifting read. Go buy this book, I promise you won’t be disappointed! A sparkling summer story that’s FULL of surprises! Butterworth Wines in the rolling Derbyshire hills has always been run on love and passion but a tragic death has left everyone at a loss. Widowed Betsy is trying to keep the place afloat but is harbouring a debilitating secret. Meanwhile, her handsome but interfering grandson, Jensen, is trying to convince her to sell up and move into a home. own marketing agency. However, she has always been an avid reader, never without a book on the go and now thinks she may have found her dream job! Cathy loves to hear from her readers. 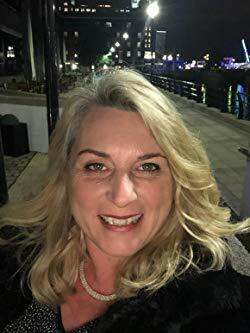 You can find her at: @CathyBramleyAuthor on Facebook, and @CathyBramley on Twitter. There are some great bloggers on Cathy’s blog tour this week. Here’s the tour details. Please do go and check out their posts too.